Why does KanbanMail cost money? Is KanbanMail worth the price? I'm an Indie Maker, meaning that I've made KanbanMail completely on my own in my own time without any funding or investment. I've put countless hours into creating a product which I hope you will love. Charging for KanbanMail helps keep it sustainable and alive. Take a look at this great piece of writing if you still don't believe me. Time is money. See how much KanbanMail could save you! KanbanMail would only need to save you each day to pay itself off. After that, it’s earning you money! 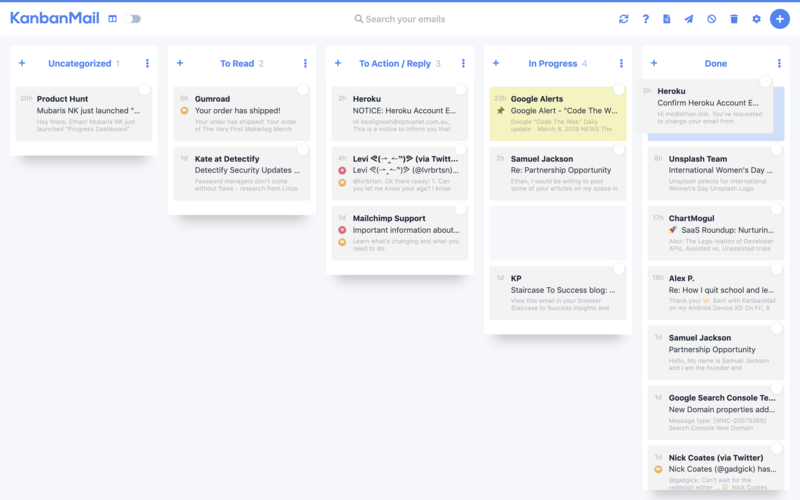 KanbanMail works with Gmail, G-Suite, Outlook, Hotmail, and Live accounts.